The 24 students were chosen from over 10,000 students from 1,400 schools across the country. Twenty-four high school students from across Canada have been chosen to compete in a national poetry performance competition known as Poetry in Voice, which awards $5,000 to the eventual winners and $1,000 to their school libraries. The 24 semifinalists were chosen from over 10,000 entries and 1,400 schools. Students are tasked with selecting two or three poems from a long diverse list of poetry curated by Poetry in Voice — which includes works by T.S. Eliot, Katherena Vermette, Dionne Brand and William Shakespeare. They then memorize and perform these poems for their classrooms and schools. The 2019 Shakespeare Selfie student writing challenge is coming soon! From there, a few students are chosen as school champions and submit video performances to Poetry in Voice, which selects the top 24. 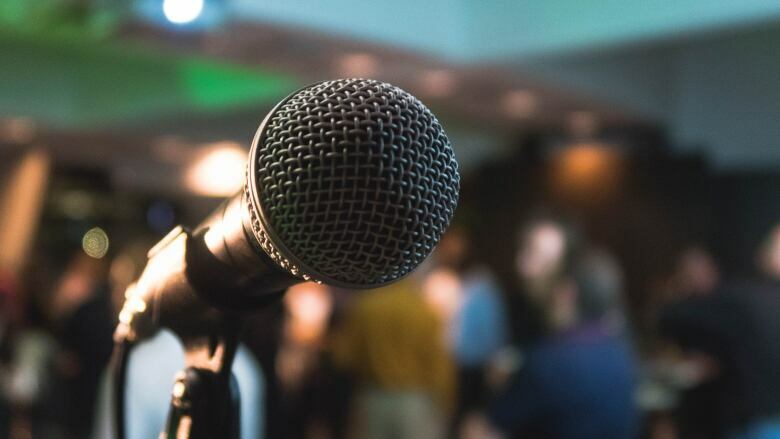 These semifinalists will compete in front of a live audience at the Winnipeg Art Gallery on April 25, 2019 at an event hosted by CBC Radio host Rosanna Deerchild. There are three streams of competition: English, bilingual and French. Cyrena Fiel from Etobicoke School of the Arts in Etobicoke, Ont. Berry Genge from Montague Regional High School in Montague, P.E.I. Catricia Hiebert from St. Mary's Catholic School in Sexsmith, Alta. Mackenzie Hutchinson from Prince of Wales Secondary School in Vancouver, B.C. Chandra Miller from Dr. Charles Best Secondary School in Coquitlam, B.C. Nawal Semir from Glenlawn Collegiate in Winnipeg, Man. Clara Sismondo from Kingston Collegiate & Vocational Institute in Kingston, Ont. Nina Thach from Kildonan East Collegiate in Winnipeg, Man. Sophia Wilcott from Harbour View High School in Saint John, N.B. Irene Zhang from Fraser Heights Secondary School in Surrey, B.C. William Zhang from University of Toronto Schools in Toronto, Ont. Matthew Zhou from London Central Secondary School in London, Ont. Ghada Charki from Champlain Regional College – Saint Lambert in Saint-Lambert, Que. Troy Cheah from Dr. Charles Best Secondary School in Coquitlam, B.C. Peniel Negre from All Saints High School in Calgary, Alta. Jenny Wang from Collège Jean-de-Brébeuf, Montréal in Que. Keagan Yap from St. Joseph's Catholic High School in Windsor, Ont. Anna Yaung from Assumption College Catholic Secondary School in Windsor, Ont. Aksa Caleb from Philemon Wright High School in Gatineau, Que. Aimee-Larissa Dushime from St. Joseph's Catholic High School in Windsor, Ont. Mathilde Eustache from Cégep de Saint-Laurent in Montréal, Que. Nahida Mohamadou Kingui from Lycée Louis Pasteur School in Calgary, Alta. Laure Poitras from Cégep du Vieux Montréal in Montréal, Que. Perlina Ross-Brown from Collège Jean-Eudes in Montréal, Que. The top three performers in each category will receive cash prizes for themselves and their school libraries: first place is $5,000 for the competitor and $1,000 for the library, second place is $1,000 for the competitor and $500 for the library and third place is $500 for the competitor and $250 for the school library. This year's jury is comprised of Katherena Vermette, Jason Stefanik, Cecily Nicholson, Pierre Nepveu, Lise Gaboury-Diallo and Michaël Trahan.